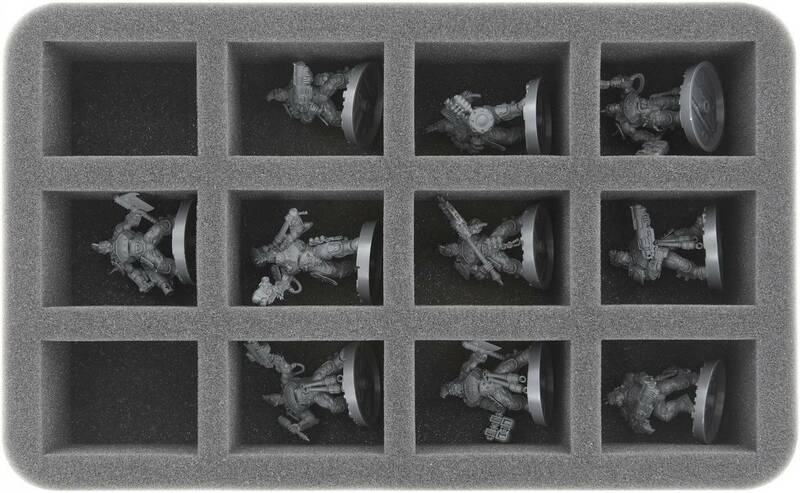 Foam tray with 12 compartments for the Goliath Gang from Necromunda: Underhive. 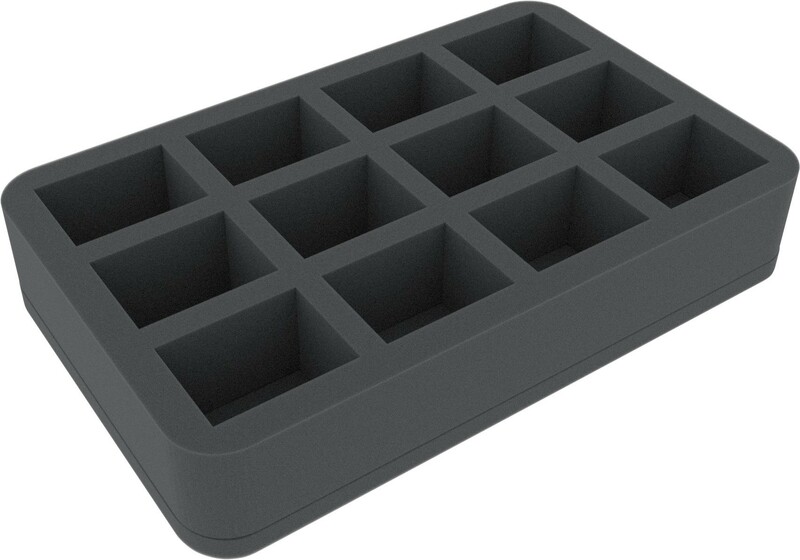 Optimal protection for each gang member. Sensitive parts of the figures are protected from damage and the colors of painted models are preserved. 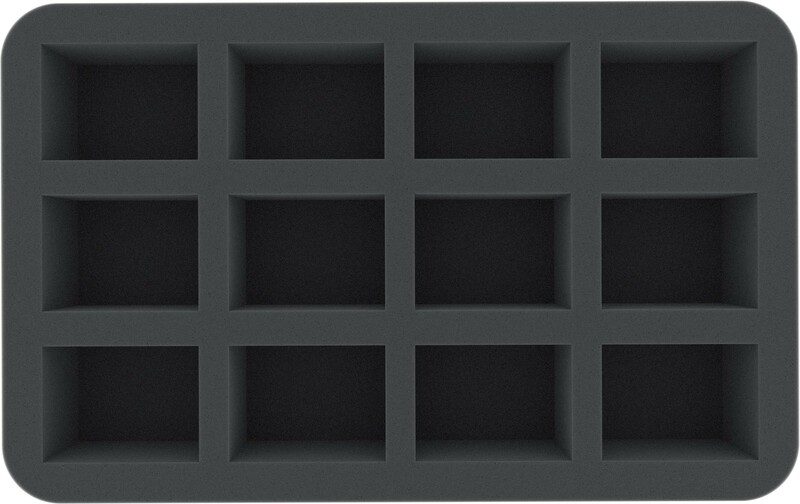 The Half-Size foam tray has the dimensions: 275 mm x 172 mm x 50 mm total height (40 mm usable height + 10 mm foam base).